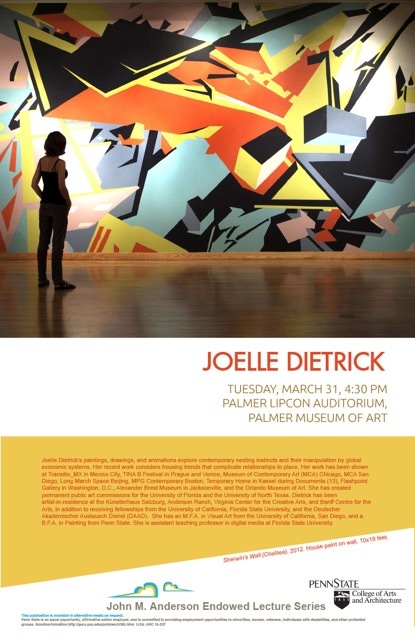 FSU Art Department Faculty Joelle Dietrick will give a talk about her artwork at Penn State University’s Palmer Museum of Art this coming Tuesday, March 31 at 4:30 pm, at the Palmer Lipcon Auditorium. The event is free. Joelle Dietrick’s paintings, drawings, and animations explore contemporary reading instincts and their manipulation by global economic systems. Her recent work considers housing trends that complicate relationships to place.